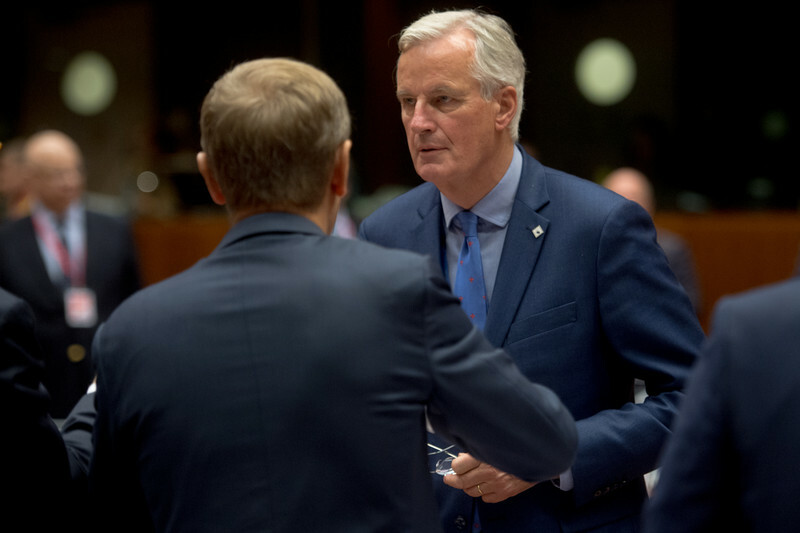 Its Brexit negotiator, Michel Barnier, also said any UK transitional deal must maintain the jurisdiction of the EU court in Luxembourg over the UK. His comments, voiced in an interview with European newspapers on Monday (23 October), go against British prime minister Theresa May's vision of a "new, deep, and special partnership" and against the abhorrence of the EU court among hardliners in her Conservative Party. But Barnier said the cost of a no-deal Brexit would be greater for the UK than the EU. He also said that protecting the "integrity" of the EU single market was more important to him than safeguarding British cooperation. "As soon as the United Kingdom tells us that it wants to get out of the single market and the customs union, we will have to work on a model that will be closer to the agreement signed with Canada," Barnier said. "We cannot imagine a system that would include the advantages enjoyed by Norway with the limited constraints of Canada," he added. The EU and Canada recently concluded a wide-reaching free-trade pact. 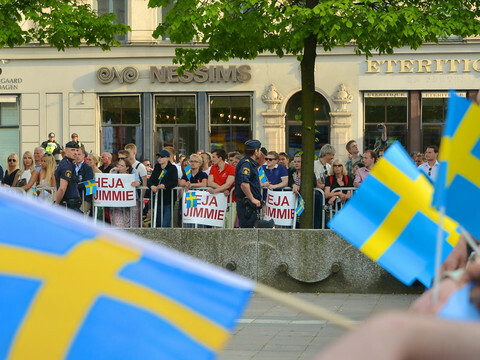 But the deal falls far short of the full single market perks enjoyed by Norway, a member of the so called European Economic Area, which entails its full conformity with EU laws. Barnier noted that the future UK deal would have to "avoid social, environmental, tax, or consumer law dumping". 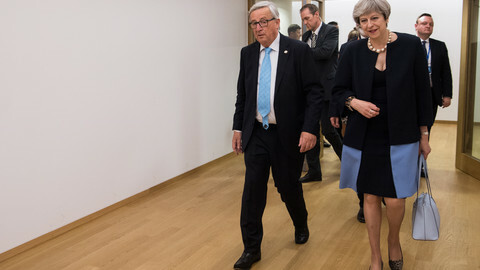 He said the talks on that deal would "last several years" and would "involve risks, including about its political ratification" in each of the 27 remaining EU nations. Turning to the transitional pact, Barnier said "it makes sense that it covers the [EU budget's current] financial period, so until 2020". The UK would stay in the single market during that period, but that would mean, Barnier said: "the maintenance of all of the regulatory architecture and European supervision, including jurisdictional". "The single market is a set of rules and standards and is a shared jurisdiction. Its integrity is non-negotiable," he said. Barnier said that a no-deal scenario, in which the UK left the EU in March 2019 with no new legal regime to fill the void, would be bad for both sides. He said it would be in the EU's "strategic interest" not to poison relations with the UK. But he added that "this is not a reason to undermine the single market". "Such a scenario would cause us problems, and much larger [ones] in the UK," he said. He gave as an example that the UK would no longer be able to "import nuclear material, whether for nuclear power plants or hospitals". He said UK airlines would not be able to "get take off or landing clearance" in the EU. He also said "there would immediately be customs controls, perhaps taxes," on British agricultural exports to mainland Europe. 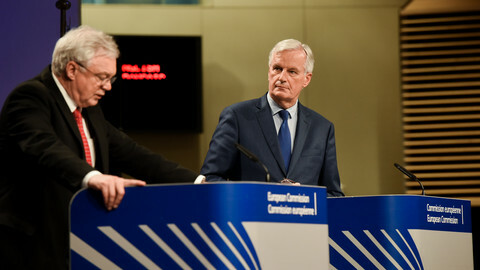 Barnier spoke after the EU-27, at a summit in Brussels last week, declined to open talks on the transitional deal or on future trade relations because, they said, the UK had not yet clarified its offer on three other points - citizens' rights, the Irish border, and the UK's EU exit bill. 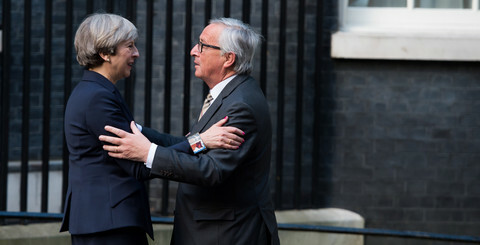 Speaking in the House of Commons also on Monday, May told MPs that she wanted a "new, deep and special partnership" with the EU in future, covering also security cooperation. She repeated the phrase "new, deep and special" several times in her statements. She voiced more optimism than Barnier on how long the talks on future trade relations would take. "We start these negotiations on a completely different basis from any other third country. 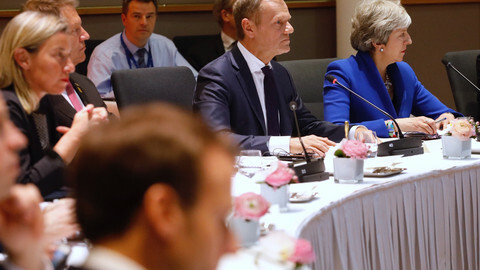 We start on the basis that we are already trading with the other member states of the European Union on the basis of rules and regulation," May said. She also expressed optimism on the issue of citizens' rights, saying the UK and EU were "within touching distance" of an accord. She said there was no question on maintaining the jurisdiction of the EU tribunal in the long term, including to protect the rights of EU nationals in the UK. "The important thing is that it is through our courts that EU citizens will be able to take their cases," she said. But she indicated that she was open to keeping it in place during the transitional phase. "The intentions of people who voted for the UK to leave the EU was to ensure that in future the jurisdiction of the European Court of Justice no longer covered the United Kingdom," she said. "We will of course have to negotiate the basis of the implementation period. If we are going to ensure that we have the greatest possible certainty for business during that period, it will be necessary for us to see as little change during that period as is commensurate with that certainty for business," she added. The leader of the opposition Labour Party, Jeremy Corbyn, noted that May faced internal problems in trying to "bring together the warring factions in her own cabinet and party" between no-deal hardliners and more EU-friendly MPs. "The prime minister is too weak to do anything about it," he said. Kenneth Clarke, a pro-EU Tory MP, also said there was "a noisy minority in the cabinet and on the back benches of the prime minister's own party" which "have persuaded themselves that no deal at all is completely desirable". Philip Davies, an arch eurosceptic Tory MP, voiced exactly that sentiment, saying the UK should ensure that it stops paying "into the bottomless pit of the EU and into Jean-Claude Juncker's wine cellar", referring to the Commission president. 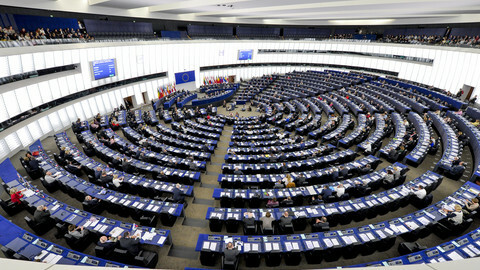 But Tom Brake, a Liberal Democrat MP, hit back, saying a no-deal scenario would hurt ordinary British people much more than eurosceptic Tory grandees in "the safety of their stately homes and their chateaux, their trust funds, and their inherited wealth". 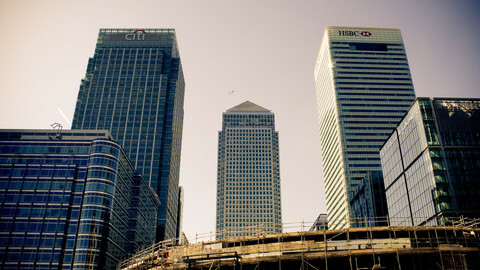 Is bank agency HQ the Brexit 'booby prize'? Two EU agencies need a new home after Brexit - but member states have spent demonstrably less effort on their public bids to host the EBA. All eyes will be on Barcelona and Madrid as the Spanish government will try to stop Catalan separatists. 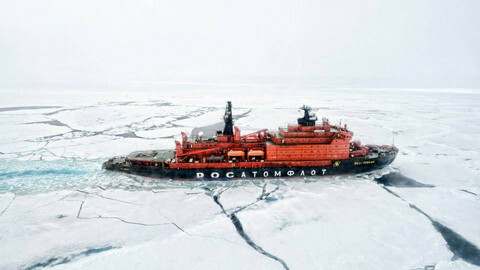 Meanwhile Nordic countries will meet to discuss regional issues like the future of the Arctic.